When I got my box from Rubbermaid with their new Glass Food Storage Containers With Easy Find Lids for this review and giveaway, I was excited once I examined them up close. They immediately found a way to this cook’s heart and I didn’t even cook with them yet! I loved how much better Rubbermaid’s Glass Food Storage Containers With Easy Find Lids snapped in place and the fact they were made out of glass instead of any microwave suitable plastic, which always stains and has a tendency to collect food odors, requiring special attention. Baking or microwaving in glass is so much easier to clean with no stains or odor problems to deal with for extra work! The sizes of all four containers sent were just right for reheating any leftovers, perfect for packing lunch to take to work or when visiting. You can even use these lids in the microwave without fear of warping! Furthermore, these Rubbermaid beauties stacked nicely in the refrigerator or on shelves. You no longer have to worry about trying to fit another awkward casserole or microwave dish on crowded shelves, which thrilled me considering my love of cooking and my small kitchen. You can use Rubbermaid’s Glass Food Storage Containers With Easy Find Lids in your oven without the lids up to 425 degrees safely. Learn more about this product here from their commercial or visit their blog Adventures in Organization for more creative ideas! These containers are the dreams of every cook because they simply your life and are so convenient, easy to use and store, while they multi-task from the microwave, an oven, a freezer to the dishwasher. I can’t express how much I have already fallen in love with these new Rubbermaid food storage containers! Honestly, you should get this set because it is fantastic. You can get a $1.50 coupon off the purchase of one container. Buy online, or at Target, Wal-Mart, or grocery stores. Thanks to Rubbermaid, one lucky Nuts 4 Stuff reader in the United States or Canada wins the same set of their Glass Food Storage Containers With Easy Find Lids ($25.99 value)! This set simplifies food storage. 2. Go to Rubbermaid and tell me which product you would love to try also or something you learned from the site in another comment. Leave a separate comment for each entry. Be sure you include your email address inside your comment so I can contact you if you win. This giveaway is only open to residents of the United States or Canada. Do follow the rules because I check entries. Be alert that if you attempt to enter using multiple identities will be grounds for disqualification. This giveaway ends July 21, 2011 at 12 PM Eastern Standard Time. The winner will need to respond to my email with name and shipping address within 48-hours or another winner will be picked. I follow/subscribe via Google Reaer Rss feed. Following on gfc (clc408)I would like the Modular Canisters from Rubbermaid. love the produce savers! follow on gfc! I already follow with Google Friend Connect (Deborah). I'd love to try Rubbermaid's Modular Containers. I follow Rubbermaid on Facebook (Deborah Rosen) (1). I follow Rubbermaid on Facebook (Deborah Rosen) (2). I follow Rubbermaid on Twitter @AsTheNight. I am a follower and one of the other Rubbermaid Items I would love to try is the Mixing Pitchers. 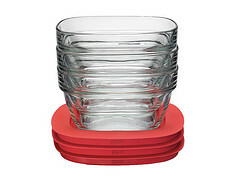 I looked around the site and what you're giving away is actually the stuff I want most–the glass containers with lids! I don't like to use plastic when I don't have to. I subscribe to email feeds. I follow via GFC — under the name Alex Vaz…Thanks for the chance to win. I really like the Horizontal Bike Rack they sell. I'm a GFC follower 🙂 The reveal mop looks nice too. GFC follower: Atreau.I would love the Spice Racks. I'm a GFC follower.I also like the 54qt cooler. I like Rubbermaid on Facebook. I like Rubbermaid on Facebook and commented there. I follow Rubbermaid on twitter as willitara. …we would like to try out the Rubbermaid Reveal Spray Mop Kit. senorpiero [at] yahoo [dot] comGFC Follower: Brian E.
Tweet: http://twitter.com/#!/brianpiero/status/93984173685092352senorpiero [at] yahoo [dot] comGFC Follower: Brian E.
Like Rubbermaid on Facebook: bryan easonsenorpiero [at] yahoo [dot] comGFC Follower: Brian E.
#2 Like Rubbermaid on Facebook: bryan easonsenorpiero [at] yahoo [dot] comGFC Follower: Brian E.
…already subscribed to the mailing list of Nuts 4 Stuff.senorpiero [at] yahoo [dot] comGFC Follower: Brian E.
Subscribed via RSS.senorpiero [at] yahoo [dot] comGFC Follower: Brian E.
I left a comment on rubbermaids fb wall. I follow on GFC. I like the filter fresh water bottle. Kandi Smithklbs1[at]yahoo[dot]comI could really use the Full Double Door Cabinet in my garage to organize my gardening tools, my husband's hand tools, and some of my husband's "collectibles." Kandi Smithklbs1[at]yahoo[dot]comI subscribe to your email at the above email address.